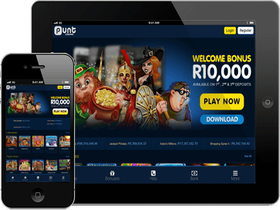 Punt Casino is a New South African Casino that uses the RTG Gaming Software. Punt Casino is a sister site to Yebo Casino and opened their doors in June 2017. They are a New South African online casino offering an exciting selection of popular online slot and mobile games. South African players can make deposits and withdrawals in the South African Rand currency. The RTG range of Games includes the Real Series suite of games to the network of connected Progressive Jackpots. Punt Casino VIP members will experience a new world of VIP treatment and exclusive offers. Bonuses include the everyday 15% Cashback and loyal players can get at least 1 deposit bonus or coupon every day which may include free spins and free money bonuses. Punt Casino is optimised for play on mobile devices including Smartphones and Tablets. Enjoy crisp graphics and thrilling gameplay with no download required. Customer support at Punt Casino provides friendly and helpful service. They are available any time day or night via email, phone and live chat. Punt Casino uses Real Time Gaming sofware which is one of the leading gaming companies in the world and has been a trusted supplier of gaming content and software since 1998. RTG offers players a full range of cutting-edge casino games. Their games are available on Desktop, Mobile platforms, Instant Play HTML 5 and Flash games. RTG have remained true to their mission presenting Punt Casino players with a high-quality interface and a wide selection of top-quality casino games. Visa, Mastercard, Neteller, Skrill, EasyEFT, SID, ecoPayz and BitCoin. Free Spins, Wild Multipliers and Bonus Rounds. Some featured slots are Achilles, Bubble Bubble, Cleopatra’s Gold, Cash Bandits. Video Poker, Keno, Treasure Tree, Caribbean Stud Poker and Caribbean Hold’em Poker. Punt Casino aims to become one of the best online gaming venues in South Africa.